In April 1143, a well off Egyptian woman made some out-of-the-ordinary requests from her deathbed. Anyone who elects to leave instructions in a will obviously has something to bequeath that is worth recording. After S.D. 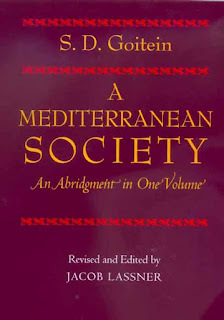 Goitein discovered numerous testaments in the Cairo Geniza, he published the texts of a number of wills in the Sefunot annual in their original Judaeo-Arabic with his Hebrew translation, and some appear in English in his five-volume work, A Mediterranean Society (i.e. see vol. 5:153-155 for the case below). The wife of Abu Nasr, a highly successful merchant from Aleppo, made a deathbed statement in April, 1143. Her family, namely her parents and brother, all resided in the three-story house that she owned. Two years earlier, this building had been given to her as a gift by her father, Abu ’l-Muna, who had been careful about legalizing the transfer and documented the transaction with the Muslim authorities. This gift included the clear condition that as long as he, his wife and son lived, they could never be evicted from the apartment on the third floor. He made certain to have his son-in-law present when this stipulation was made, so that it could not be changed or challenged at a later date. If the two men were to have a falling out, it would not be farfetched to imagine that Abu Nasr might attempt to be rid of his in-law’s presence. Is this the knucklebone of John the Baptist? Should We Rebuild the Buddhas of Bamiyan? Is ‘Tudor England’ a myth?